Located at the strategic intersection of the famous Miami Beach and downtown Miami, Bayside Marketplace is a great shopping center a few hundred meters from the port. Originally built to accommodate the many visitors who arrived on huge cruise ships, it is now also frequented by locals. We loved the small souvenir shops and the pleasant food court on the first floor, where you can relax while enjoying a breathtaking view of Miami harbor. When you arrive in a city as large as Miami, you can't help but wonder where to start. Well, my advice is to go first to Bay Side, a shopping mall where you can see stores like Victoria's Secret, eat, drink mojitos, dance, or cross the street to Bongos coffee or the Los Estefan club. You can also catch tourist boats here, giving you a tour of the city and helping you to decide where to go next. Try to haggle on the tour prices! Right on the bay that lies in front of Miami Beach and adjacent to the center of the city, Bayside is a place where tourists must go. There is shopping, restaurants for drinks, great views, live music and also you can take a boat tour to see the houses of celebrities. 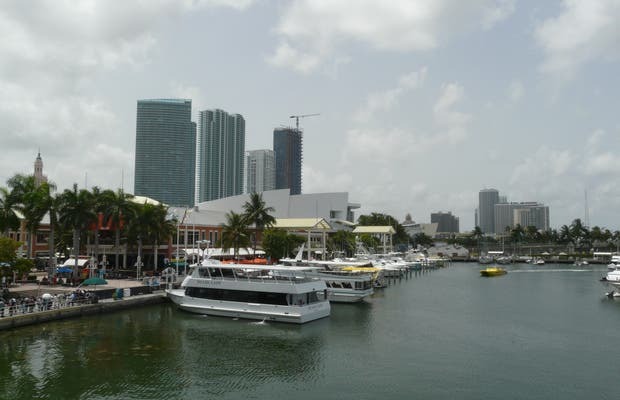 OMG Bayside is the best part in Miami with some tours and attraction to do... Get the Boat tour for Millionaires Mansion and get some souvenirs shop. Beautiful landscapes and the people there are super nice!